Belgian action movie star Jean-Claude Van Damme, also known as the Muscles from Brussels, is in the capital this week to promote his new series Jean-Claude Van Johnson. Van Damme will pose for photos on Friday next to the statue of himself on Boulevard Sylvain Dupuis (N219) in Anderlecht. 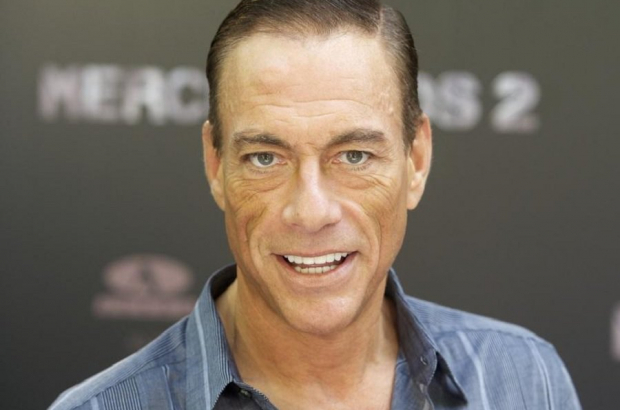 Van Damme was born in Berchem-Sainte-Agathe, becoming a top competitor in bodybuilding, karate and kickboxing. When he was 22, he left for Hollywood to try his luck in action movies. He got his first break as an extra in a few films before his breakthrough role as a Russian villain in 1986’s No Retreat, No Surrender. Two years later, the film Bloodsport sealed his career as a lead in action and martial arts films. He is now an actor, screenwriter, producer and director. Van Damme’s new series, Jean-Claude Van Johnson, is being released on Friday on Amazon Prime Video. The six-part series is the actor’s first foray into satire: He plays himself – except he’s an undercover agent, in a series that pokes a bit of fun at the genre. It also stars Phylicia Rashad (The Cosby Show) as Van Damme’s boss. Actually his "first foray into satire" was the the excellent JCVD (2007) where he also played himself.